$39.00 In stock. Order in the next 13 hours, 28 minutes and it will go out today! 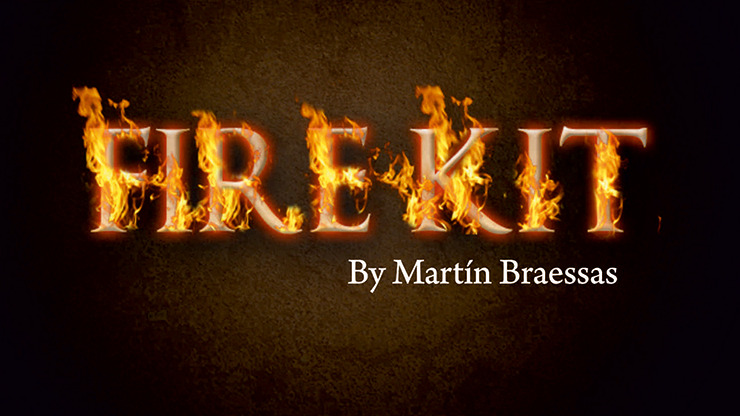 We're very excited to be able to offer Fire Kit from Martín Braessas - the perfect attention grabbing flame steal and transposition! Fire Kit brings the classic "Fire From Hands" bang into the 21st century, allowing you to produce a flash of fire from your hands and then turn it instantly into the object you want. You appear to simply grab the fire with your hand and turn it into a billiard ball, or coins, cards, cookies, dice, sponge balls and more - all possible with Fire Kit. Your purchase comes with online instructions that include how to grab fire and how to produce your everyday objects, complete routines with their explanations, theory, tips for rehearsal as well as the bonus 'Fire Balls'.